Health apps and health software offer a great wealth of opportunities. However, the use of “health data” by such apps and software may be restricted under German data protection law. Additionally, the use of medical documents calls for observance of patient secrecy. 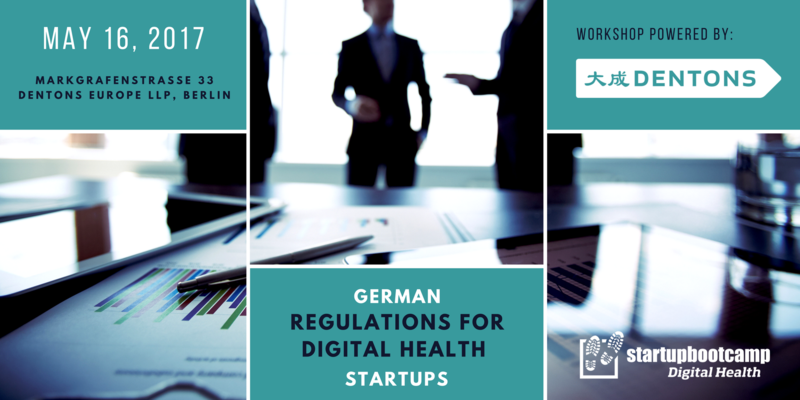 If you work with health data and would like to learn about the legal requirements for digital health startups and the measures set by German laws, come join us at the workshop on German Regulations for Digital Health Startups provided by Dentons Europe LLP, the Legal Partner of Startupbootcamp Digital Health Berlin! Those shedding the light on legal provision applicable on the German market will be Thomas Schubert and Dr. Ariane Loof of Dentons Europe LLP. 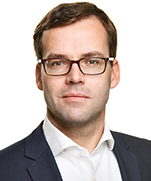 Thomas Schubert is a partner in Dentons’ Berlin office. He is part of the Corporate/M&A as well as Venture Technology groups. Thomas focusses on advising national and international clients on M&A transactions, corporate reorganizations, and insolvencies. Furthermore, he advises clients on private equity investments, venture capital participations, and joint ventures. Thomas’ main area of expertise lies within the technology sector. He has a particular focus on the energy and renewable energy industry. Further engagements of Thomas include advising clients from the IT industry as well as the biotech and automotive branch. He represents large national and international companies and investors as well as aspiring start-ups. Prior to joining Dentons, Thomas was a partner at another leading technology-focused law firm. 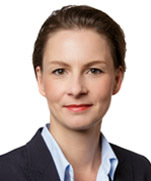 Dr. Ariane Loof is Counsel in Dentons’ Berlin office. She is a member of the Corporate practice group and focusses advising clients on Compliance, Data Protection Law and Labor and Employment Law. Ariane has extensive experience in medical and pharmaceutical sector. She advises international group companies on setting up Compliance Systems (in particular Export Control and Money Laundering) and implementing Compliance Policies. She further advises on transfers of employee’s data inside the European Union and abroad (e.g. US) with regard to e-discoveries and internal investigations, on regulating employee’s private use of company electronic media, establishing a global whistleblower hotline and using GPS-Systems in company cars. She supports German companies on negotiations with works councils, joint works councils and group works councils. Dentons is the world’s largest law firm, delivering quality and value to clients around the globe. Its polycentric approach and world-class talent challenge the status quo to advance client interests in the communities in which we live and work. Dentons’ Venture Technology and Emerging Growth Companies practice consists of around 200 lawyers and operates in the world’s most vibrant startup markets. The group advises clients throughout their entire lifecycle, from incorporation through growth phase all the way to a successful initial public offering. Founded in 2010, Startupbootcamp is recognized as one of the top 5 industry-focused accelerators in the world, with 16 programs in 10 cities across 3 continents. The global accelerator network is running programs in Amsterdam, Barcelona, Berlin, Rome, Istanbul, London, Miami, New York, Singapore and Chengdu with a mentor and alumni network in over 30 countries. By now 404 startups have been accelerated by Startupbootcamp, of which 79% are either active or acquired with a total funding of over €200M. NB! Please enter the building at the reception area on the ground floor. The workshop will take place on the 2nd floor. Do not hesitate to reach out to us with any queries at healthberlin@startupbootcamp.org.